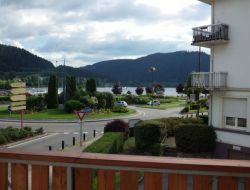 Renting a cottage in Aumontzey at the door of the natural park of the Ballons des Vosges, 15mn Gerardmer, its lake, ski runs and hiking trails. Nearby: riding, fishing, climbing, sailing, amusement park. Come to discover Vosges and stay in a holiday cottage 4-8 persons, near the forest where you can escape during your walk. 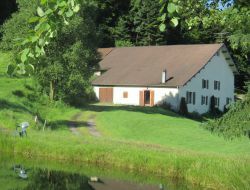 In the door of the Regional Natural reserve of the Ballons des Vosges, our holiday cottage is situated in the countryside and allows the practice of varied leisure activities, besides the on-the-spot fishing in a privative pond. Activities on-the-spot : no-kill fishing, hiking on numerous paths, mountain bike, trail... Cultural Activities in Remiremont, Épinal, thermal in Plombières-les-Bains, tourist in Gérardmer or La Bresse, without forgetting the Alsace at 1hour. 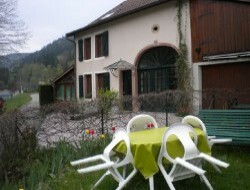 Holiday rental for 6 people located in Val d'Ajol in the Vosges, near Plombières les Bains and Gerardmer. 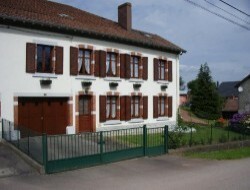 The cottage is located near the neck of the Croix des Moinats between Vagney and La Bresse, in a renovated farmhouse. It's a flat on duplex can accommodate 6 people plus baby in three bedrooms. 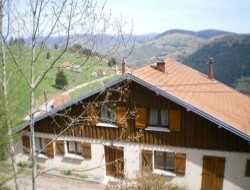 This cottage is ideal for walkers and mountain bikers, 4 km from Bresse. 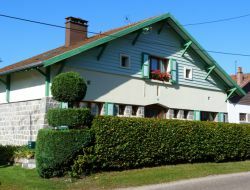 Holiday cottage in Gerardmer center 50 m from the lake .... Apartment of 76m ² duplex from 4 to 6 people. One bedroom has access to a large balcony with direct views of the lake. The heating is electric. You benefit from a closed garage, secure with access by elevator to your apartment. Rent of an independent house for 8-9 people, completely renewed, spacious, with big living room, modern fitted kitchen, 4 bedrooms with quality hotel bedding. 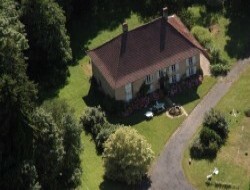 Holiday ome in the peace, near a brook and nevertheless in 2 steps of the tourist area of Gérardmer. Exceptional environment for this character cottage, waterfront, outside the village, 4 km from Badonviller. Gîte awarded "3 épis Gites de France", for 6 persons, 3 bedrooms, garage, tennis. 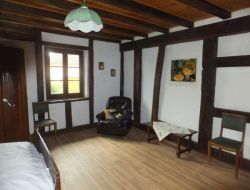 Cottage for 6 persons in an old farmhouse lorraine located in the region of the Etangs less than 5 km from the lake Lindre and the pond du Stock in small village of Moselle, quiet. Charm of the old with half-timberings and visible beams, 3 bedrooms, living room, kitchen, bathroom. Comfort. Enclosed ground of 5 ares, covered terrace, parking.